The term business insurance refers to the insurance coverage that protects businesses against operational losses. Business insurance policies are specifically designed for the protection of the business. This protection includes its owners, managers and workers as well as its assets such as its plant, property and equipment. The terms and provisions where premiums, coverage and limits are concerned will significantly differ from other types of insurance policies such as farm insurance and homeowners insurance. Keep in mind that business insurance is a broad definition, so it must be broken down into the main types of coverage, many of which are discussed below. Most, if not all, businesses will secure two or more of the following insurance plans depending on several factors. These factors include types of risks, organizational goals, and available budget as well as legal compliance. This insures against losses and/or damages to the physical structures such as factories, warehouses and offices including their contents. The structures can be owned or leased. The coverage itself can be specific (i.e., just for fire or tornado) or multi-peril in nature (i.e., all types of natural disasters mentioned in the contract). This insures against losses or damages to the business itself. In many cases, the property and casualty insurance coverage is combined into a single business insurance policy. When a business is sued by third-parties for its negligence, the liability insurance provides protection against the possible financial losses incurred by the lawsuit. The negligence can be committed by one of the employees or by the business in general. This insurance policy insures against the possible losses to the cash flow and profit of the organization in case of business interruptions. Keep in mind that the causes for business interruptions will be defined in the insurance contract, which is also true for the limits of compensation. Other business insurance policies include health insurance, life and disability insurance, and scripted insurance. We are here to serve all types business insurance needs. 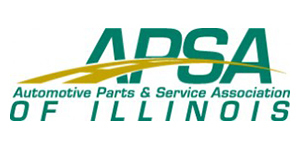 We are endorsed by the IL Auto Parts & Services Association and give big discounts to policies for their Members. We also write for Auto Service Centers, Auto Parts Stores, Contractors, Restaurants and Taverns.